I was a latecomer to Amy Winehouse. ‘Anyone that popular can’t be all that good’ is my knee-jerk snobbish standoffish position. I was wrong. She really is that good. About a year ago I went through a binge, and there’s no disputing it – she’s got chops, she writes riveting material, and she’s a persona of undeniably epic proportions. I begrudge her none of her fame. And then a couple of days ago CBL posted a clip of Acoustic Amy (‘Back to Black‘). I listen to CBL’s musical recommendations, because they’re tasteful and often from worlds wholly different from my own. But we agree on Acoustic Amy (‘You Know I’m No Good’). This is not music by which to polish the crystal. It’s music by which to snort the crystal. Or to jump off a nearby roof. Any convenient form of self-destruct. I mentioned to CBL how much Amy was influenced by Dinah Washington, referring to the very obvious technical and stylistic affinity between the two. To which CBL responded “Amy was straight Lady Day all the way, bleeding from the pores”, referring of course to the broken heart of the matter. 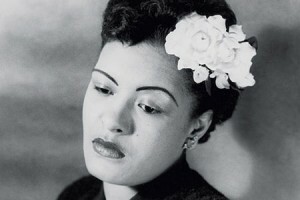 It’s true, of course, that Amy and Billie Holiday are sorority sisters in auto-ruin. 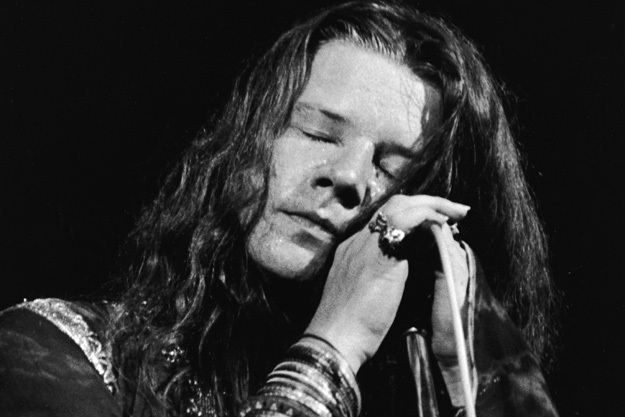 But there’s one other obvious member in that pantheon of pain, Janis Joplin. And I’ve been ruminating about that tragic triptych. What do they have in common? It’s so obvious that it could stand some explication. They sang their suffering and personified pain. They were all immensely popular but always more focused on grappling with their personal devils than on showbiz. They were all real, even under the spotlight with an audience gasping and leering and applauding. I know it’s true, at least for Janis, because I spent a memorable hour talking to her and then an even more indelible hour and a half electrified by her performance on stage. What was her demon? What was all the dope and dissolution and screaming trying to exorcise? We’ve all read about how much of an outcast she was in high school in Texas. Well, fine, but a lot of us had popularity acne. Janis was desperate for love, for approval, crazed to give and to please. When she sang “Take another little piece of my heart”, there was almost no hyperbole. She was ripping out her heart piece by piece, right there on center stage, reliving the pain for us, redying for us, night after night. For our entertainment, as we watched, horrified and aghast and awed. Why do we remember “Hamlet” and not the public hangings against which it competed for attendance? Because “Hamlet” has both the gore and catharsis to boot, an unbeatable meal of sacrificial lamb at an early-bird price. Road kill with a moral. You can’t beat that. They traveled different roads of ruin, Janis/Billie/Amy. 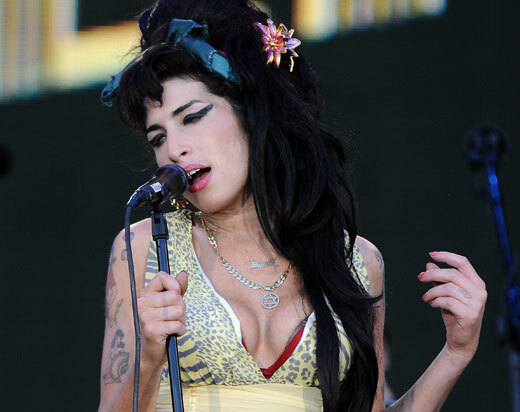 Amy was born in the bourgeois Jewish suburb of Southgate. Her father installed windows, her mother was a pharmacist. 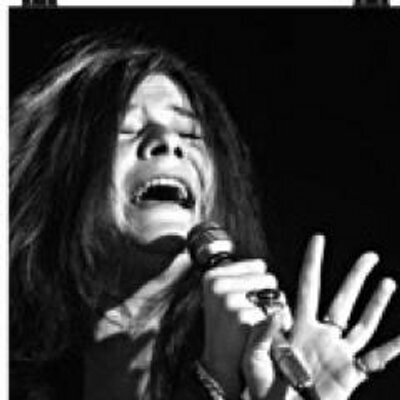 Janis was born in Port Arthur, Texas to a Texaco engineer father and business college registrar mother. Billie was in truant court at 9 and apprenticing in the whorehouse where her mother worked at thirteen. Janis was all about “I need a man to love”. A tsunami of need. Billie was a victim at the core, subjecting herself to any and every available abuse. But these three women continue to arouse unrivaled adulation. They sing, and you stop what you’re doing to listen. Remember Oedipus (killing his father, marrying his mother, putting out his eyes)? That’s how the Greeks celebrated their Dionysian festival, watching the most elevated of mortals lose his wrestling match with the gods. The Israelites invented scapegoat – the poor little billy who lost the toss of the dice. After the destruction of the Temples and the demise of the sacrificial cult, guilt became the domain of the Jewish mother, to be purged by passing it on dutifully to the scapechildren. The Christians perfected the scheme, putting all the sins of humanity right on the thorned head of Jesus himself. Shakespeare took the most admirable of men, screwed them up royally, and has kept us rapt for 400 years now at how the great fall. What is the impulse behind our morbid fascination with that magnificent person suffering so greatly? We’ll leave it to the scholars of sacrifice to explain to us the mechanics (and meaning???) of this need for transference of guilt/sin/suffering. Our job is to promulgate music. Thankfully, none of these ladies need our PR. 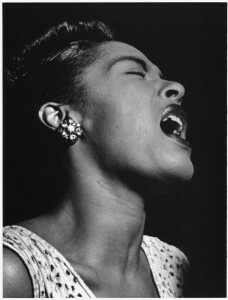 But there are a few words I’d like to say about Billie Holiday’s anthem of the need for self-reliance, ‘God Bless the Child” (1941). Billie had given her mother money to open and then to maintain a restaurant (“Mom Holiday’s”). “It kept mom busy and happy and stopped her from worrying and watching over me… [But] I needed some money one night and I knew Mom was sure to have some. So I walked in the restaurant like a stockholder and asked. Mom turned me down flat. She wouldn’t give me a cent.” An argument ensued, in which Billie shouted “God bless the child that’s got his own,” and stormed out. She went to her sometime collaborator (‘Don’t Explain’), Arthur Herzog, Jr (father of novelist Arthur Herzog and grandfather of playwright Amy Herzog), who helped her flesh it out into the song which became her most popular and most frequently covered (Aretha, Stevie, and everyone else). It’s in the Grammy Hall of Fame and “Songs of the Century”. Them who’s got shall get, them who’s not shall lose. So the Bible says, but it still is news. Whom of us hasn’t felt the humiliation of being refused that which is by all natural rights ours, the ignominy of asking, even our parent, and being denied? What is truer than the grace of independence? He who has his own is indeed the blessed one. Billie felt it, and sang it for us purely and eloquently. So much so that we’re still using her as our essential expression of that particular pain. Just as we so often go back to those women, to Amy and to Janis and to Billie, each in her own voice, to bear witness in awe at the very distillation of our common, oh-so-human sufferings. They lived in pain, but not in vain. A few years ago, I was at Indigo Books, a big box book store, looking at books when I heard them playing this music that was just great. I was sure it was a black singer from the 60s and I was very impressed so I went over to the music section and asked who it was. 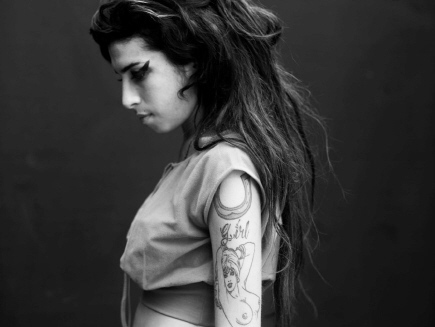 It was Amy Winehouse. The guy who had been in the same book section was there too asking the same question. I bought her CD but never listened to it because I listen to most of my music on YouTube these days. (I don’t buy books anymore either since I have 3 ereaders). So, I know that I really like her hits. Back To Black, Rehab, You Know I’m No Good. But I don’t know if I wd have been interested in her without them. I am very happy to have provided the impetus for this particular SOTW. I did not know the background of God Bless the Child–thanks for that as well.